Click here to view the Impeesa District Photo Page!!!! All the fantastic events forever saved!!!! 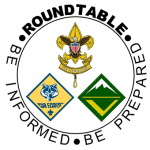 Time to nominate a great scouter for the District Award of Merit or Distinguished Leadership Citation! Help Impeesa District recognize the great scouters who give tirelessly in service to the youth of our community. For questions or for more information, please contact us at ImpeesaBSA@aol.com. Nominations are due Monday April 8!!!! The 11th Annual NC State Merit Badge College is set for Saturday, April 6, 2019. We are offering 17 merit badges taught by over 100 instructors. Each instructor is a specialist in their field, and each scout will experience the best in learning! Registration will open in mid-March. The 2019 Impeesa District Camporee team is planning a fantastic event for all programs & units. In order to organize this program, we are asking for 1 (one) representative from each Impeesa unit to engage in Camporee program planning. With everyone's help, we can develop an awesome program in short order! Contact: Greg Sanders and let him know who from your unit is attending. The Hurricanes are proud to present a special offer to Scouts & other special guests from each troop. For more information, or to purchase 10 or more tickets, please contact Brian Kapusta: 919-861-5452. Tickets are available on a first-come, first-served basis & subject to availability. If the dates do not work for you and your Pack or Troop, but you would still like to attend a game, please contact Brian Kapusta for additional opportunities. COME JOIN YOUR FELLOW IMPEESA DISTRICT SCOUTERS FOR AN EVENING OF FOOD, FELLOWSHIP AND EDUCATION!!!! !